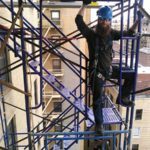 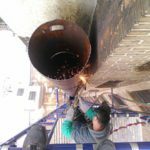 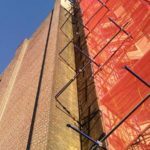 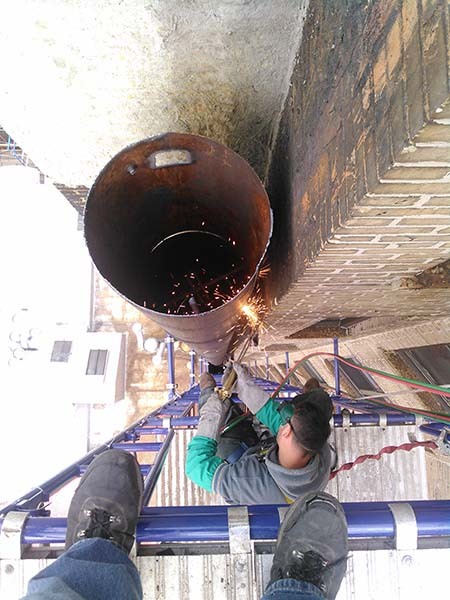 This project consisted of completely new breeching, lining an underground tunnel and removing and replacing a 170’ tall external stack. 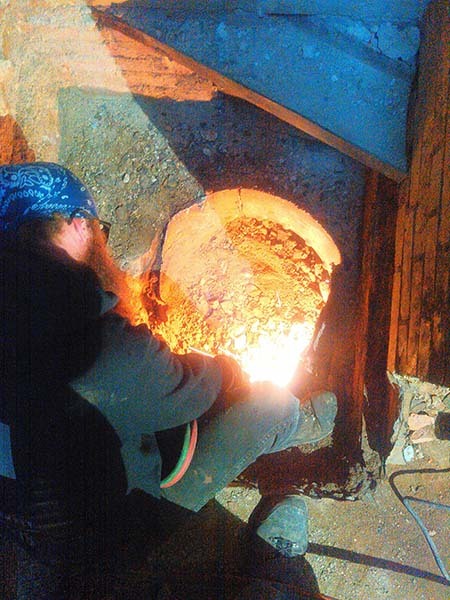 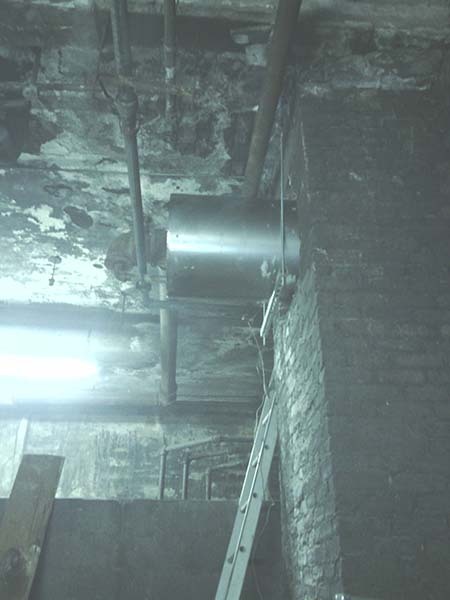 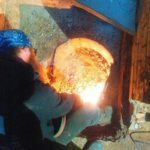 The new breeching ran from the outlet off of the boiler through a wall to the underground tunnel. 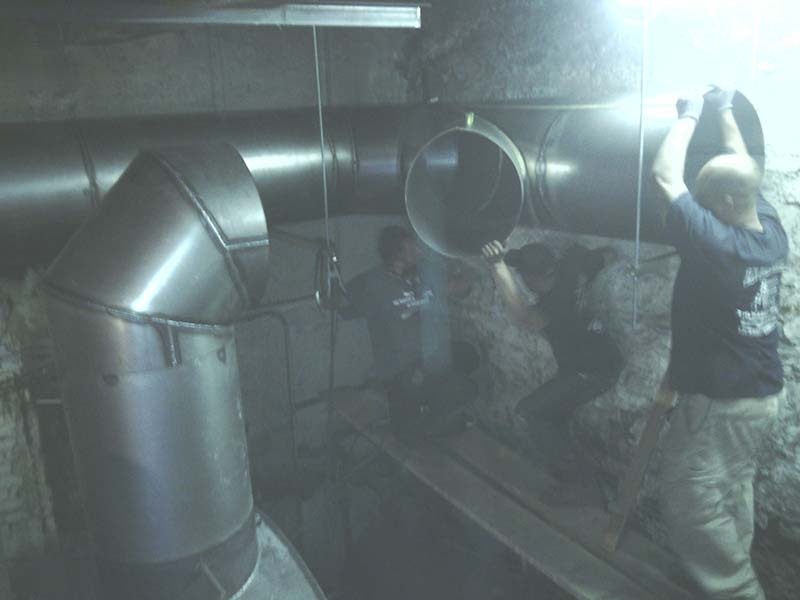 The tunnel terminates underground in the courtyard where we would have to jackhammer open the concrete floor to access the work area. 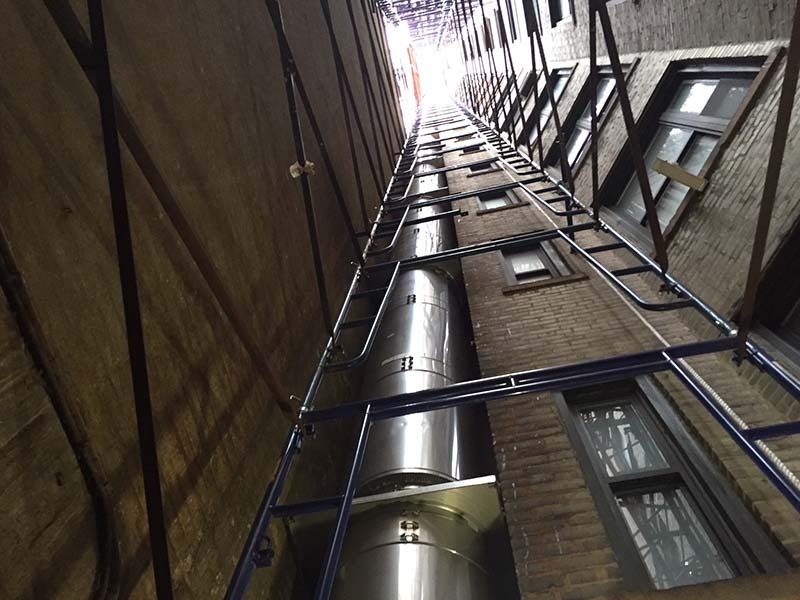 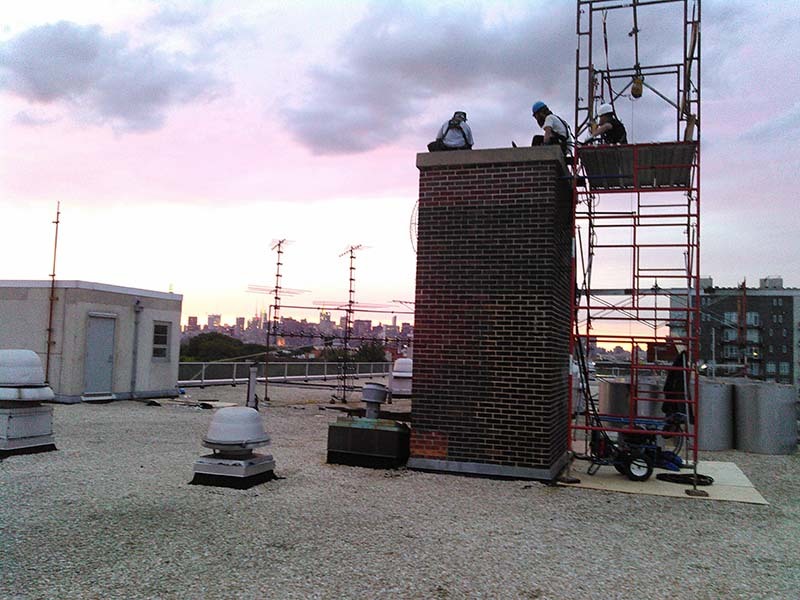 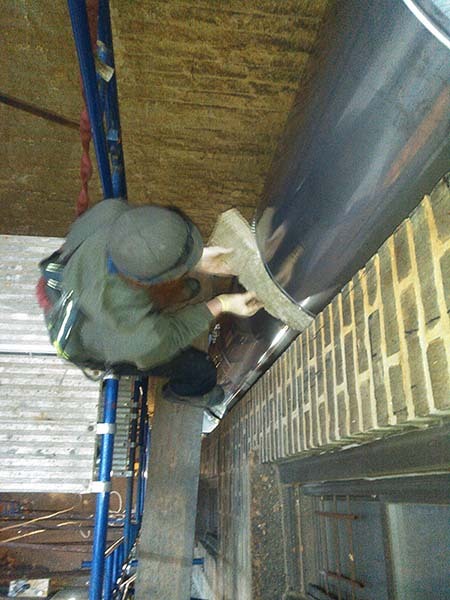 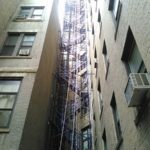 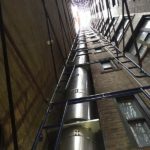 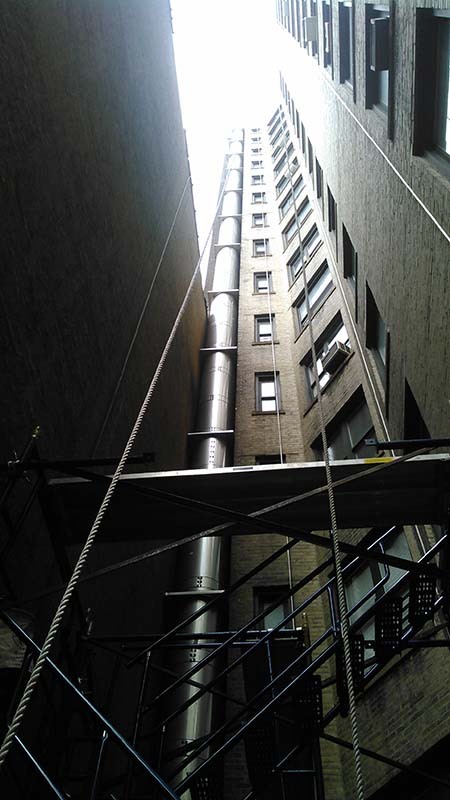 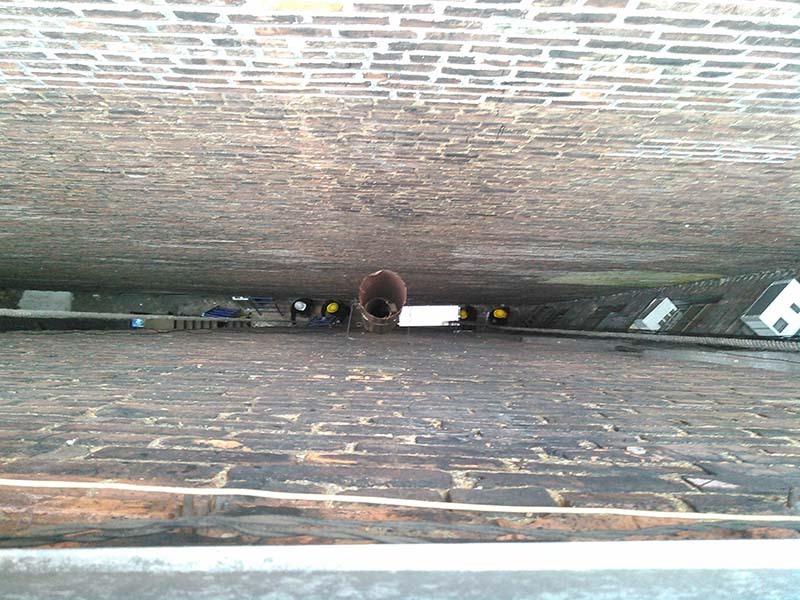 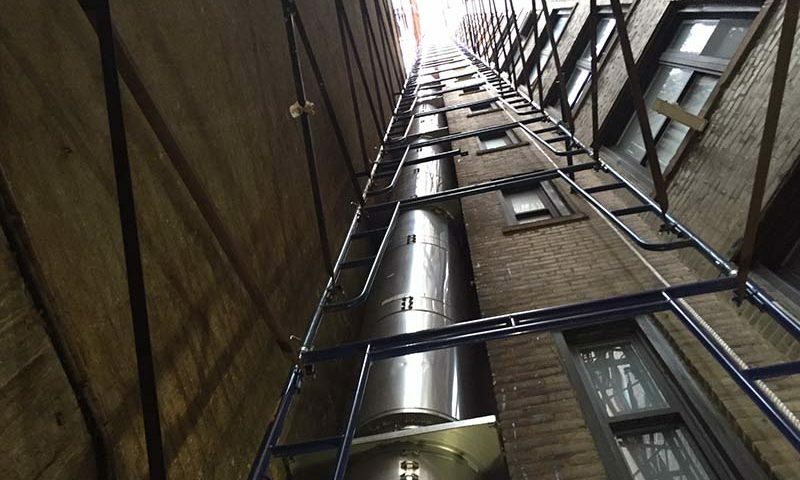 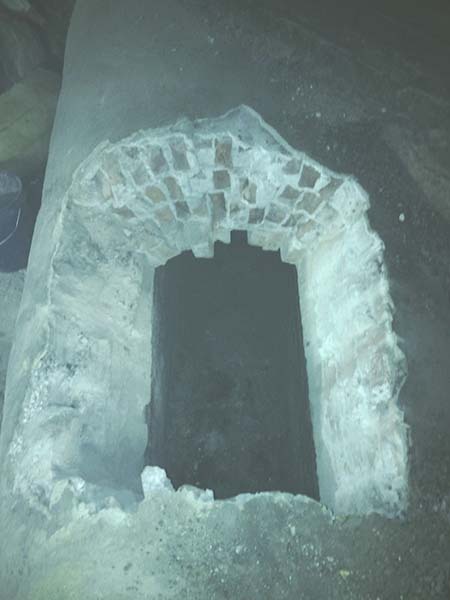 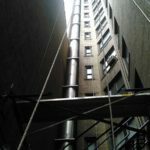 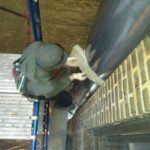 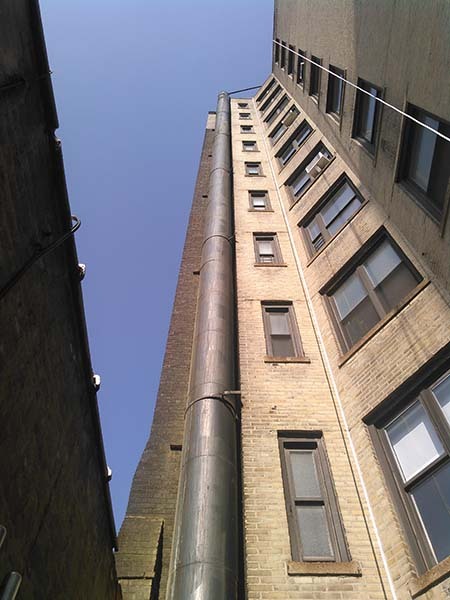 It is in this tight space between walls of the building where the vertical portion of the chimney begins and runs 170’ tall. 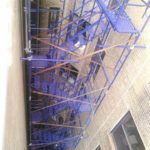 The major challenge at this project was the outside work space. 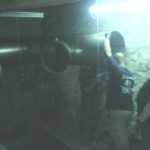 We are confined in that corner and the outer diameter of the pipe is 28” around. 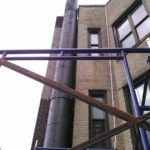 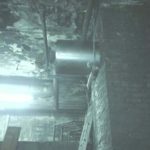 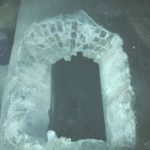 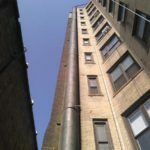 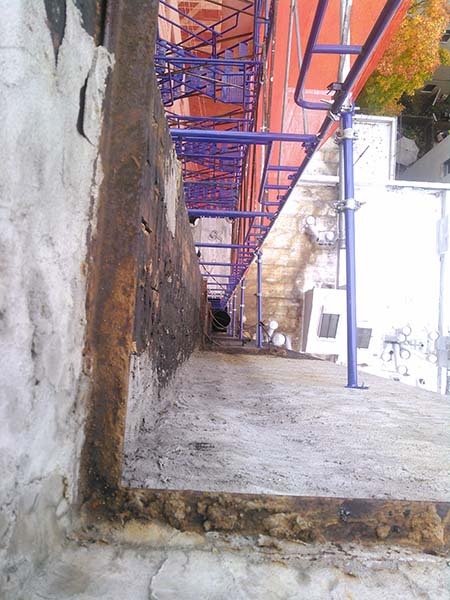 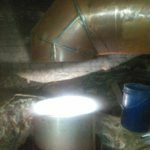 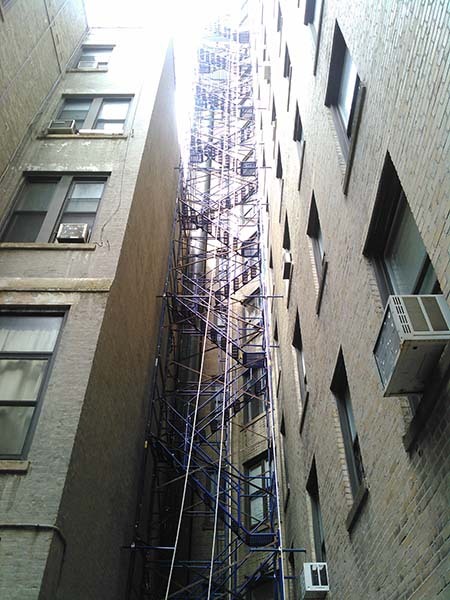 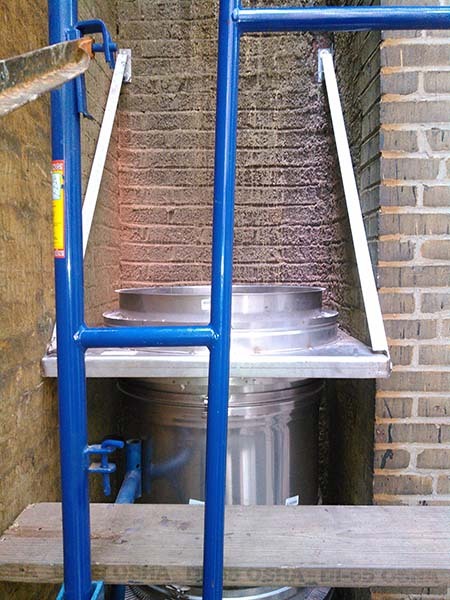 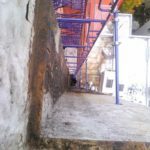 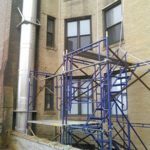 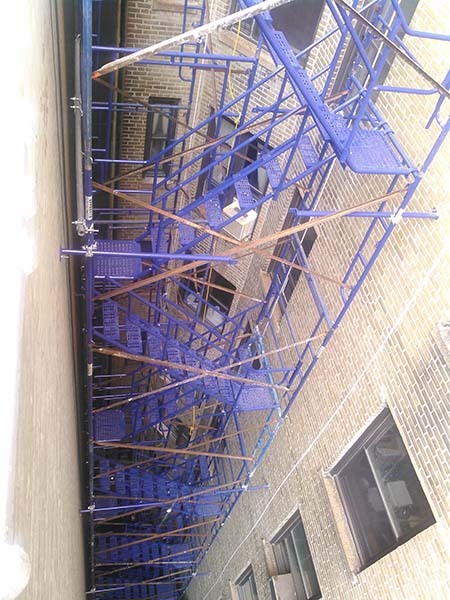 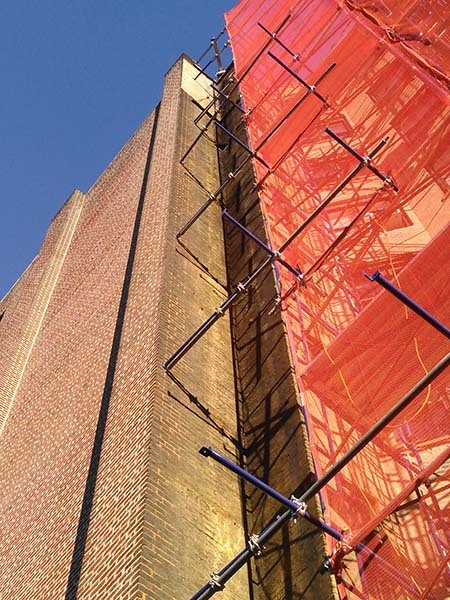 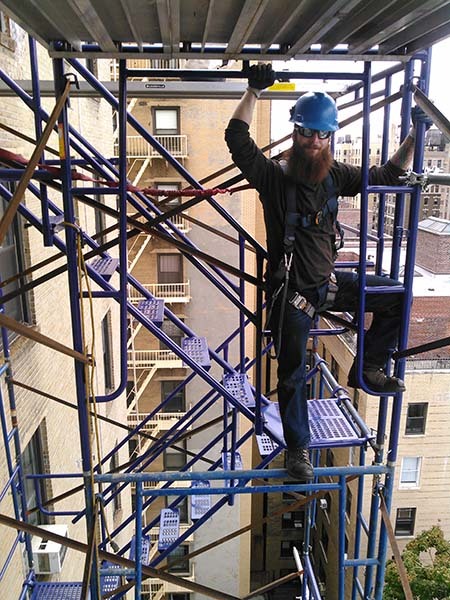 With virtually no space between the pipe and the wall and no easy way to get to the mounting points, removal and installation contained a high level of difficulty. 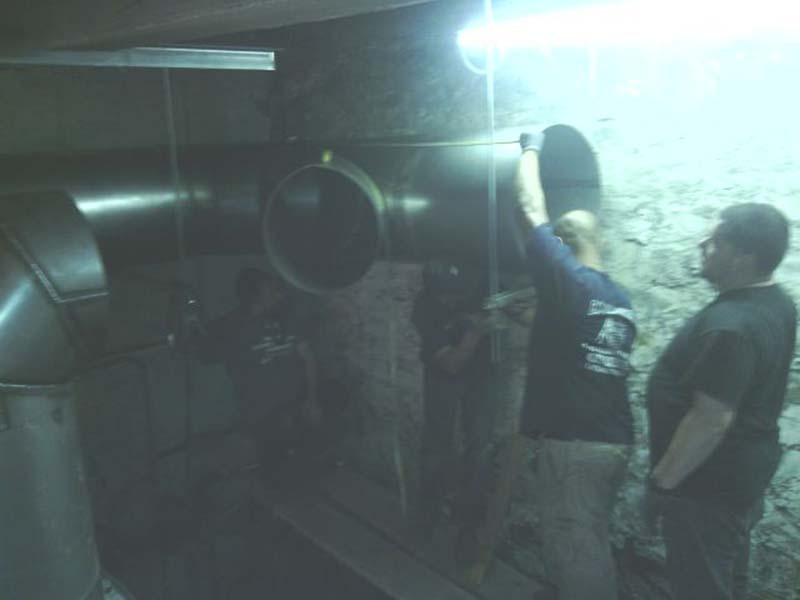 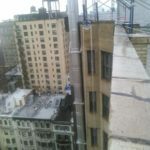 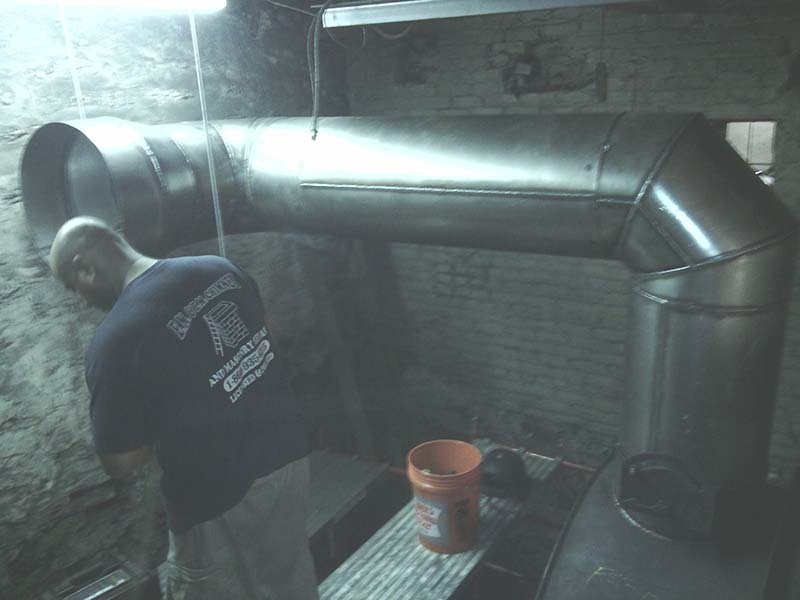 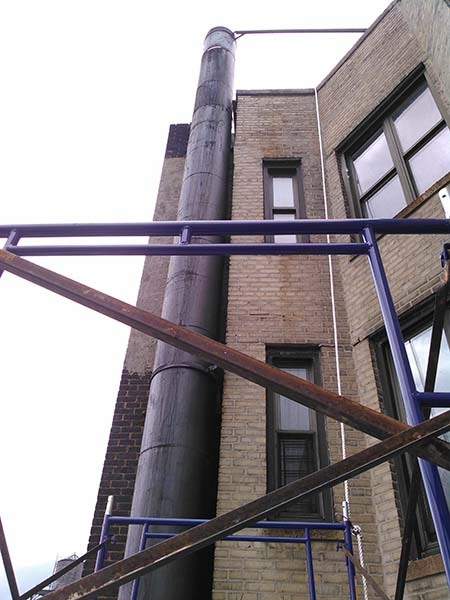 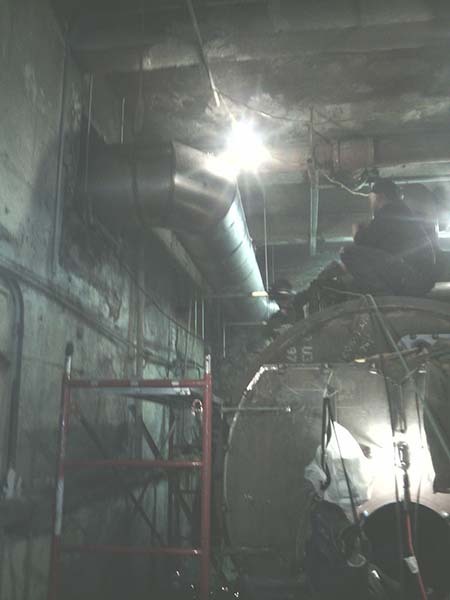 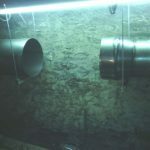 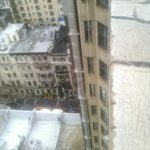 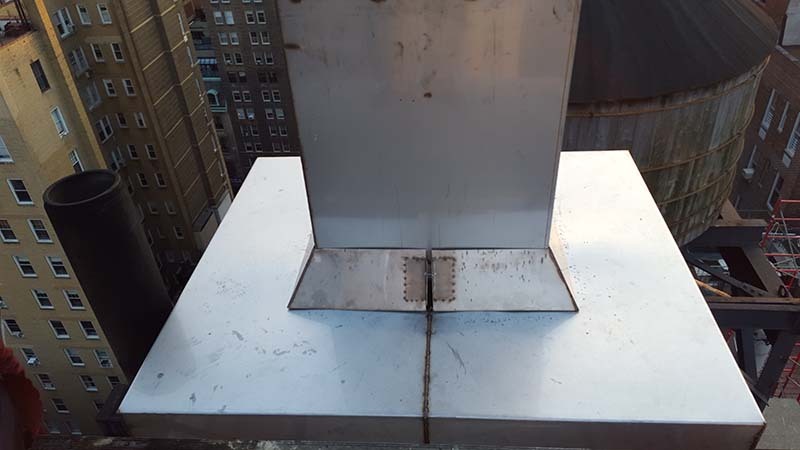 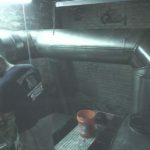 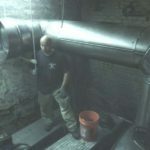 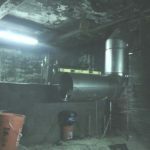 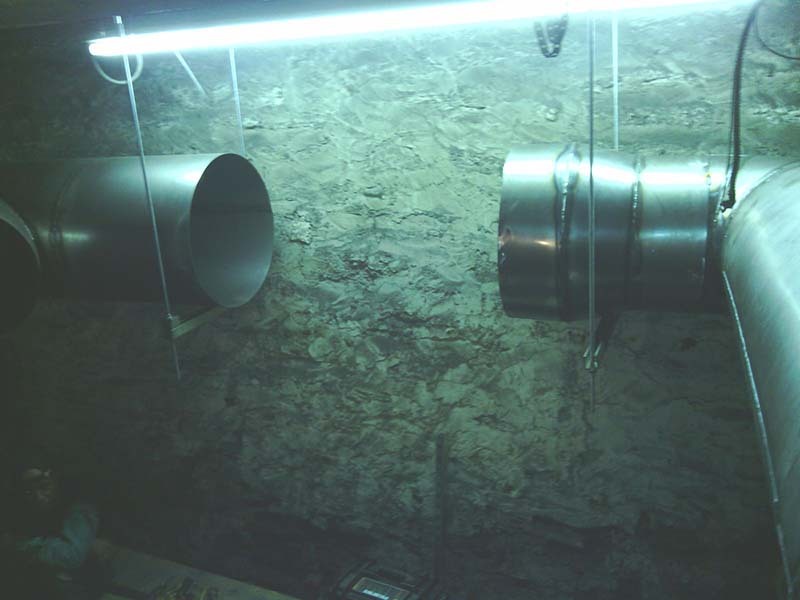 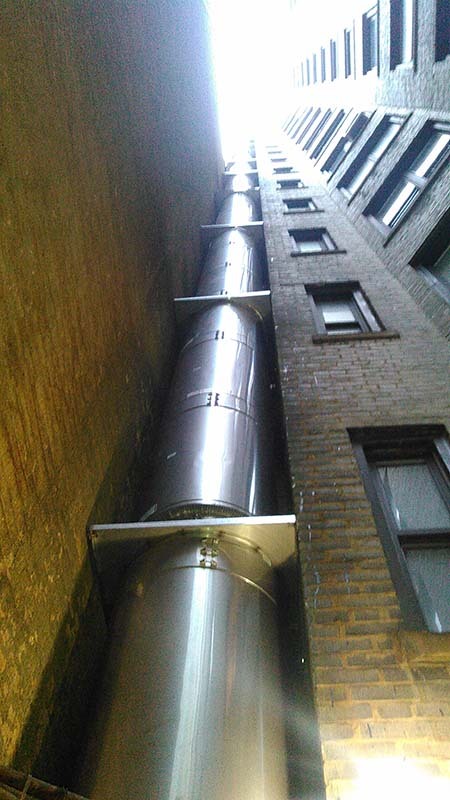 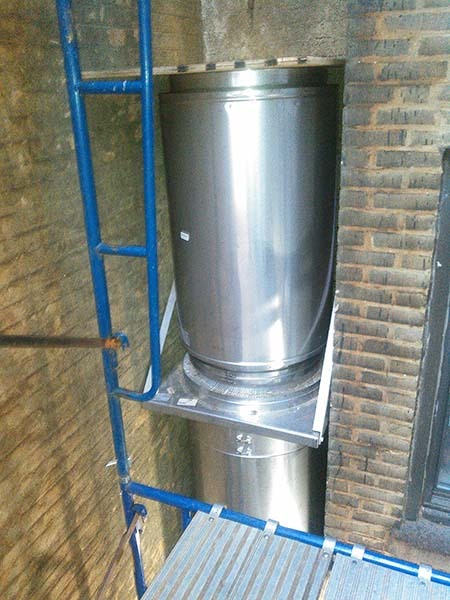 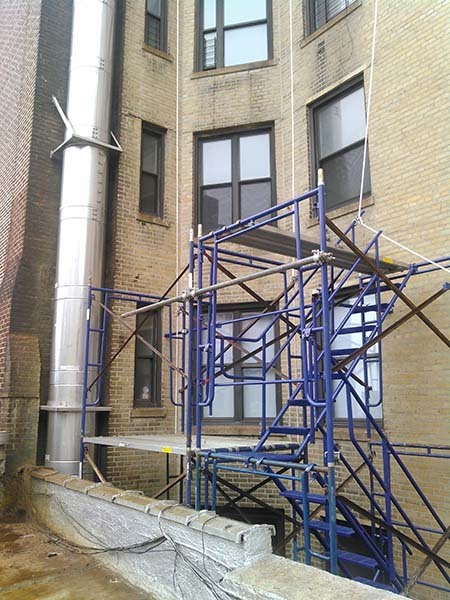 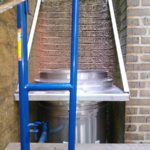 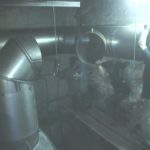 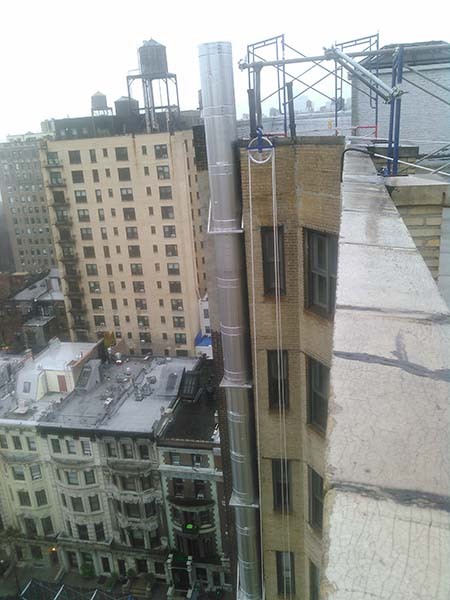 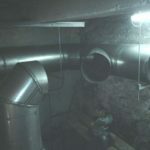 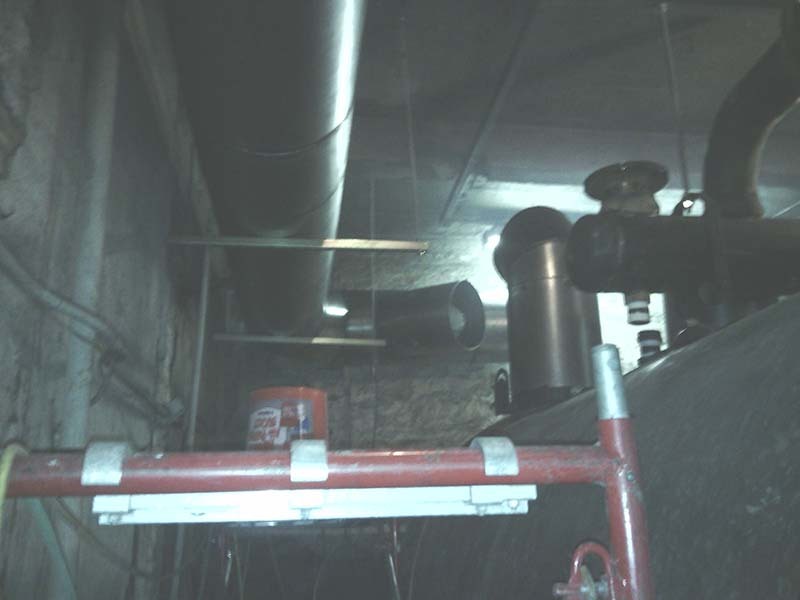 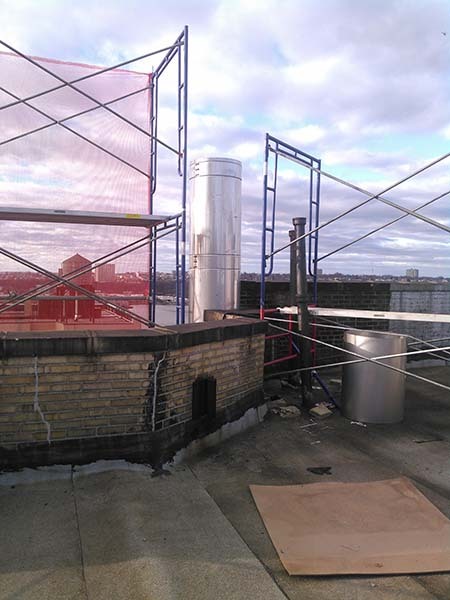 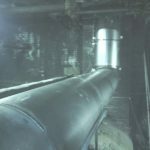 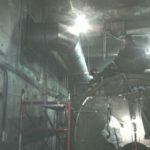 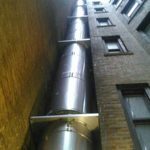 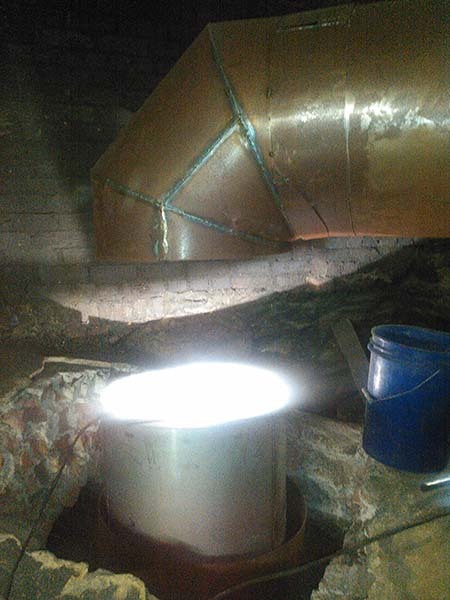 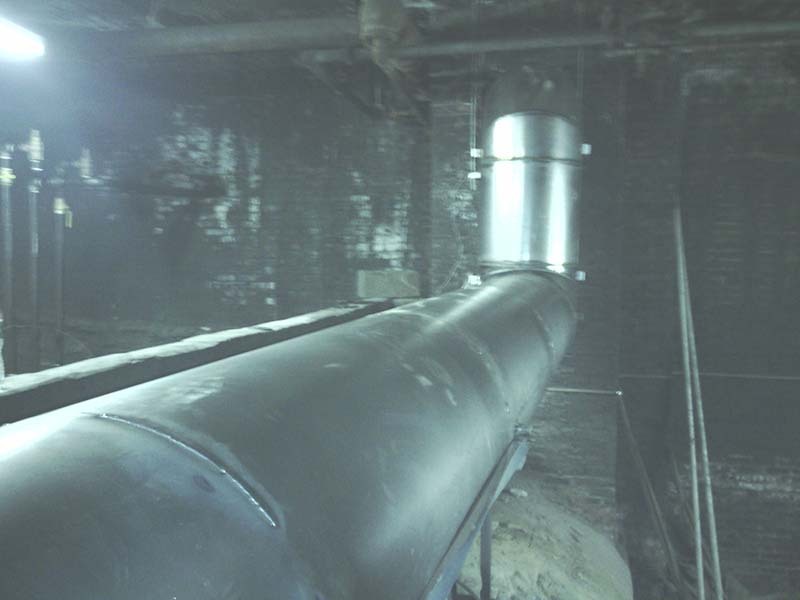 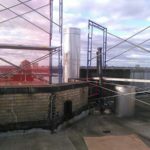 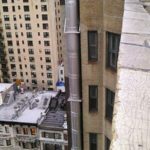 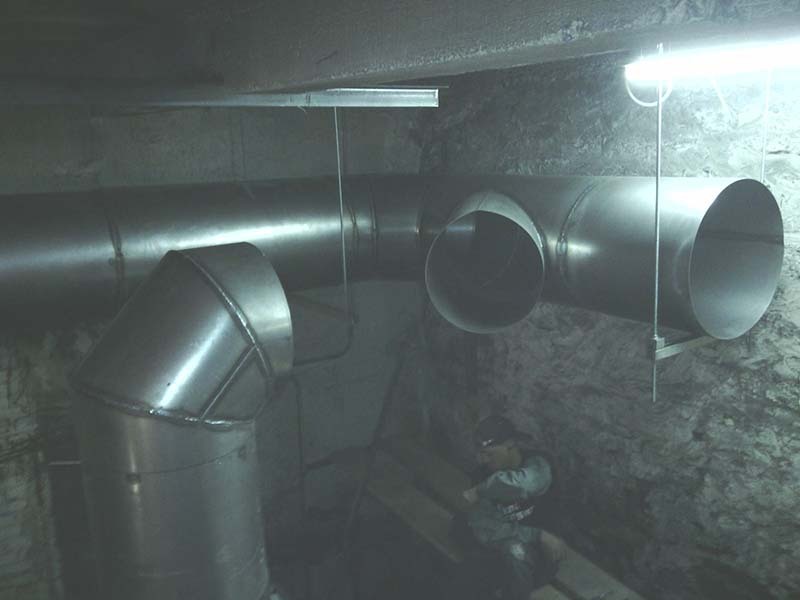 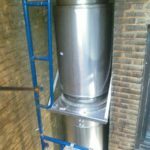 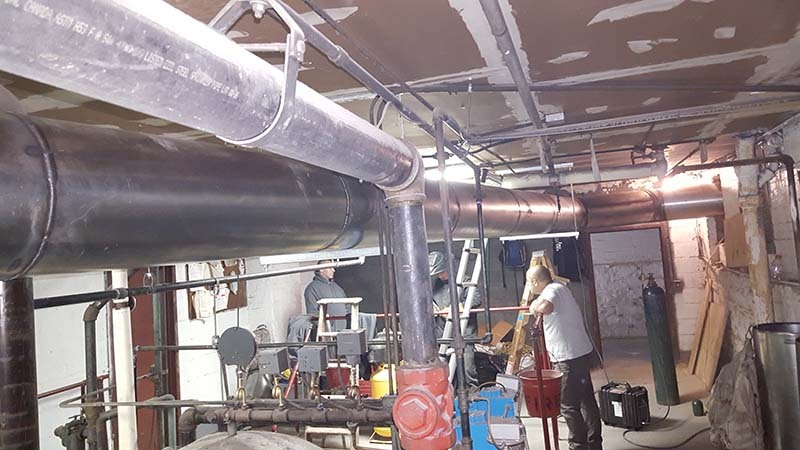 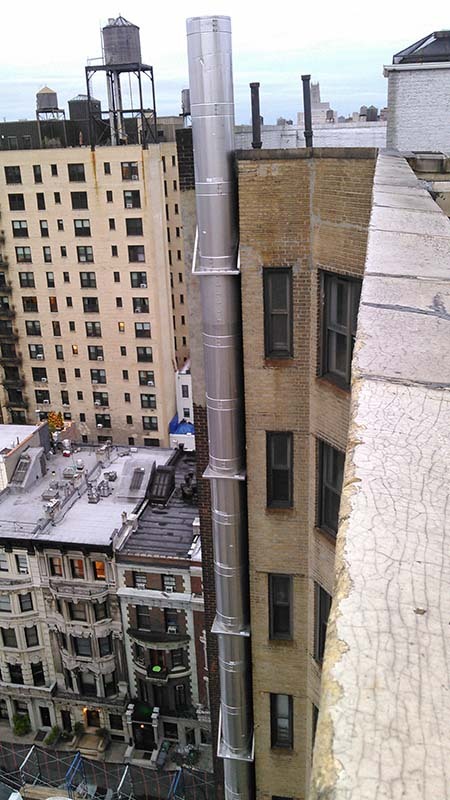 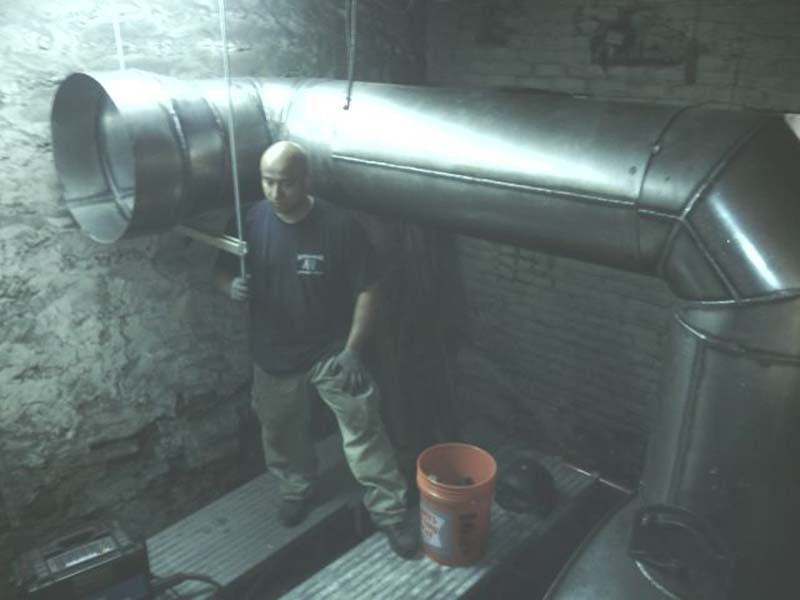 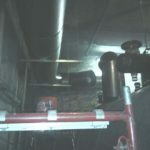 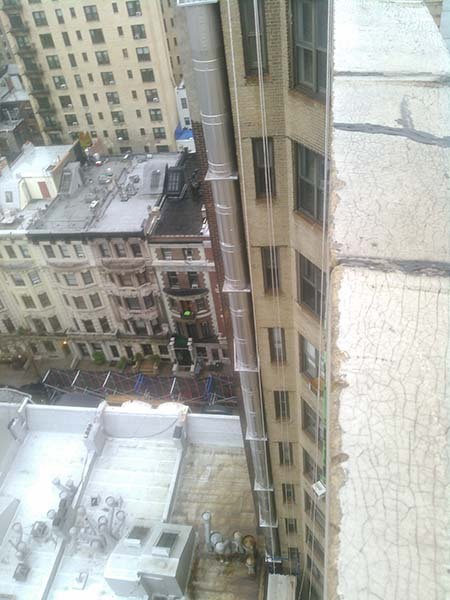 The new pipe we installed is a double wall stainless steel stack with 2” of insulation between the inner and outer walls. 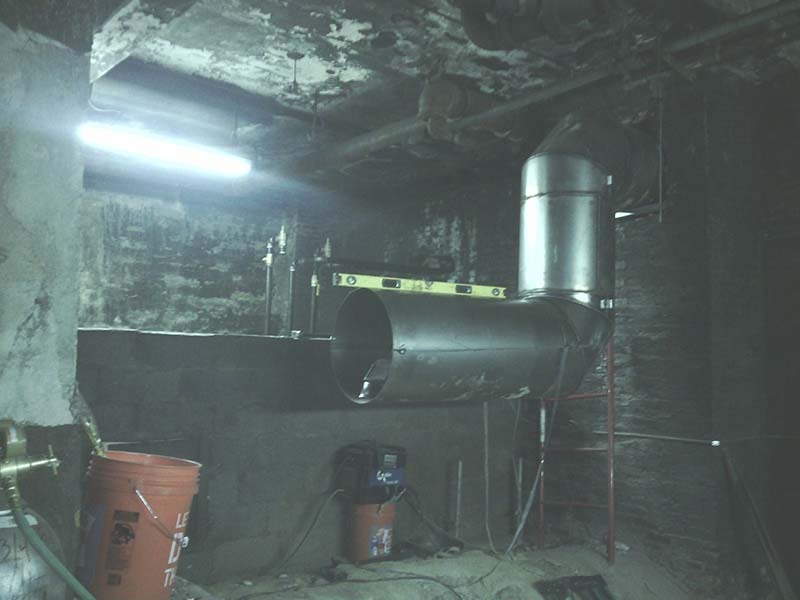 Due to the location of the pipe, the photos do not do this project justice.